Open 1st May - 30th September. Out-of-season bookings by prior arrangement. Tent - £11.00 (small/single) to £16.00 (large/family) per night. 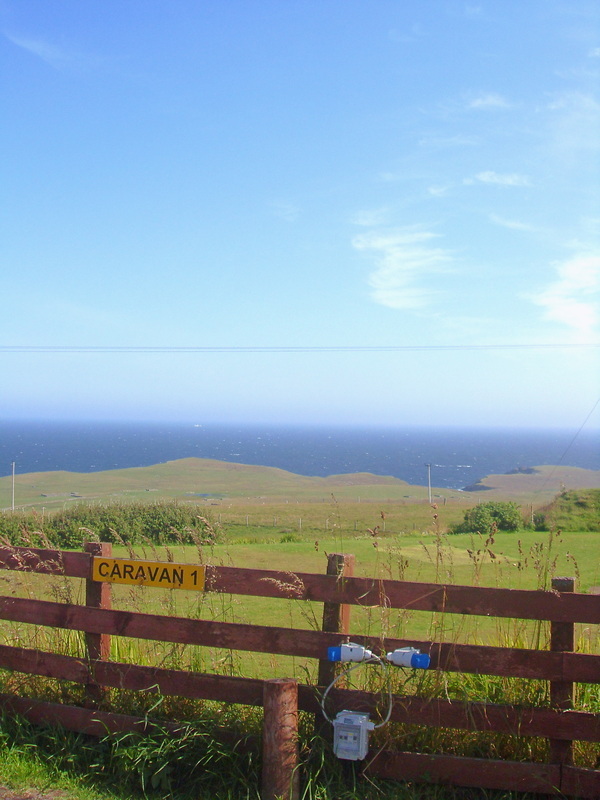 Caravan/ motor-home - £16.00 per night. Electric hook-up points cost an additional £3.00 per night. 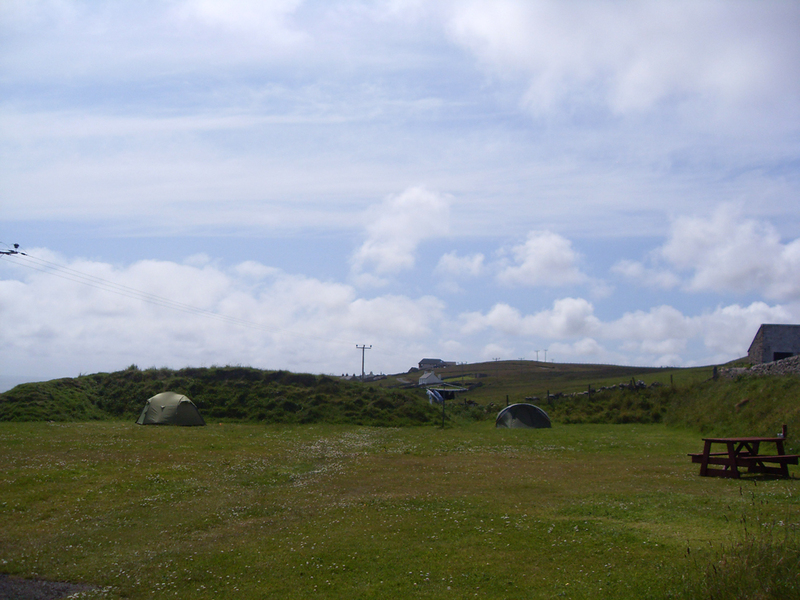 6 touring pitches & 12 tent pitches. Indoor laundry and kitchen with microwave, recycling bins and indoor shower room. Toilets, second shower, outdoor sink, chemical waste disposal and rubbish bin outside. There is disabled access to the toilet block upon request. Wildflower garden with picnic tables and newly planted trees. 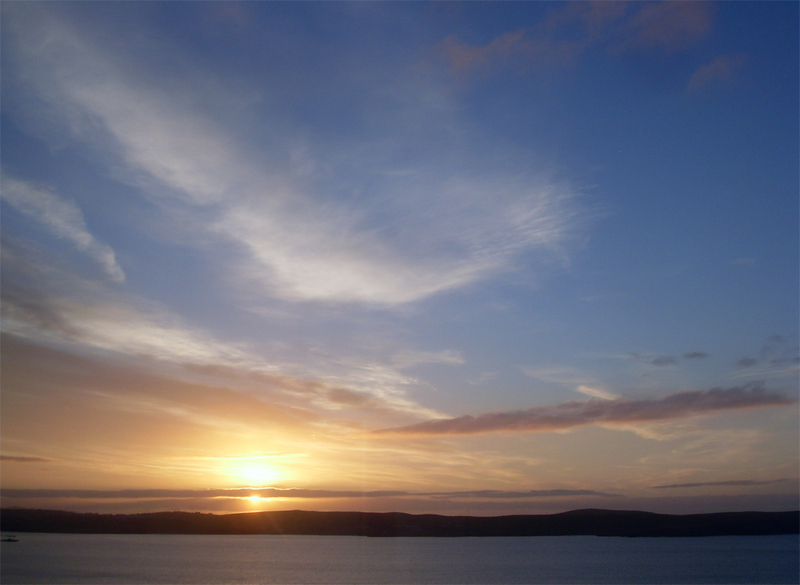 Listen to curlews, oyster-catchers, terns, snipe and skylarks. A volunteer campsite warden will be on site each day around 7pm. 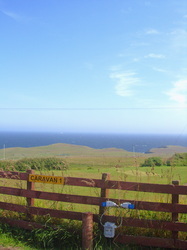 Elevated position with extensive views overlooking the sandy beach at Levenwick bay. Nearest shop is in Levenwick, half a mile walk downhill past the old tennis court, continuing in the direction of the beach. Nearest garage for fuel is at Dunrossness (3.6 miles) south along the main road, where there is also a shop. 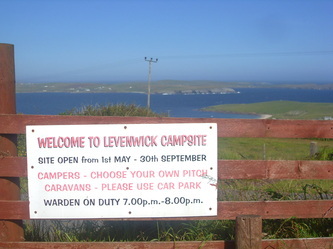 We thank you for camping at Levenwick. The hall committee hope you enjoyed your stay and that you will consider camping here again. We would welcome any suggestions on how to improve our facilities and so make your next visit more enjoyable. "Facilities excellent. 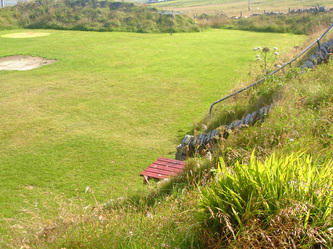 We applaud the committee's imagination in providing the site, bearing in mind how few sites there are on the island." - Janet & Roger, Chesterfield, Derby. 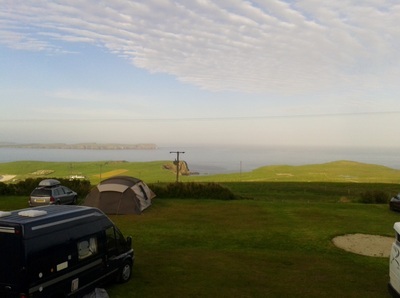 "The prettiest and most welcome campsite- and flattest. Thank you for providing it. 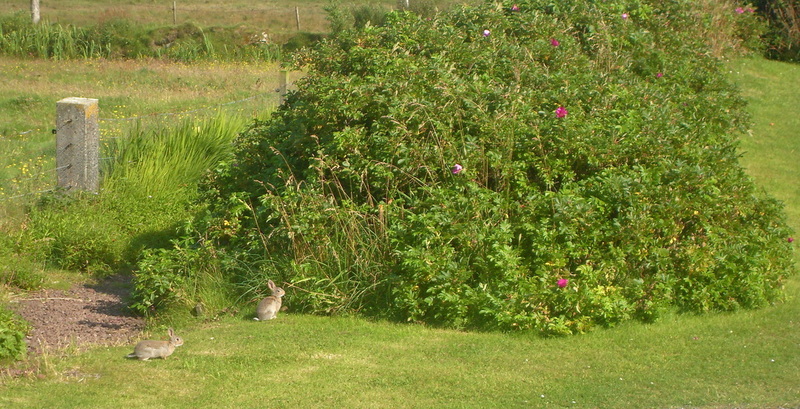 A level piece of grass and a water tap are all we ask for. The shower and toilets worked well. Unfortunately, the only rain we've had in two weeks fell today so were unable to dry our washing. If a tumble drier were to fall from heaven that would have been the height of luxury. The only practicable improvement is a hot water tap at the outside sink and a plastic washing up bowl (to reduce use of hot water). We hope to be back." - Steve & Pauline, Milton Keynes. "Enjoyed our nights' stay very much. Lovely site. An outdoor plug on the building for elec. hookup would be good. Hooks for towels in the shower & disabled loo. Many thanks" - Edinburgh. 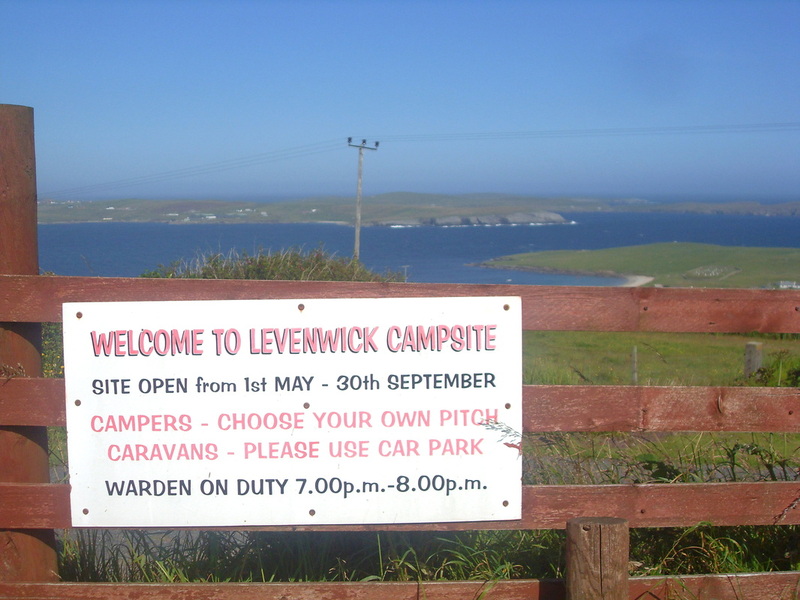 "What a fantastic small caravan park this was in 2005 when I stayed there. With the addition of clothes washing facility that was being completed during my stay I am looking forward to staying there again this year 2006. 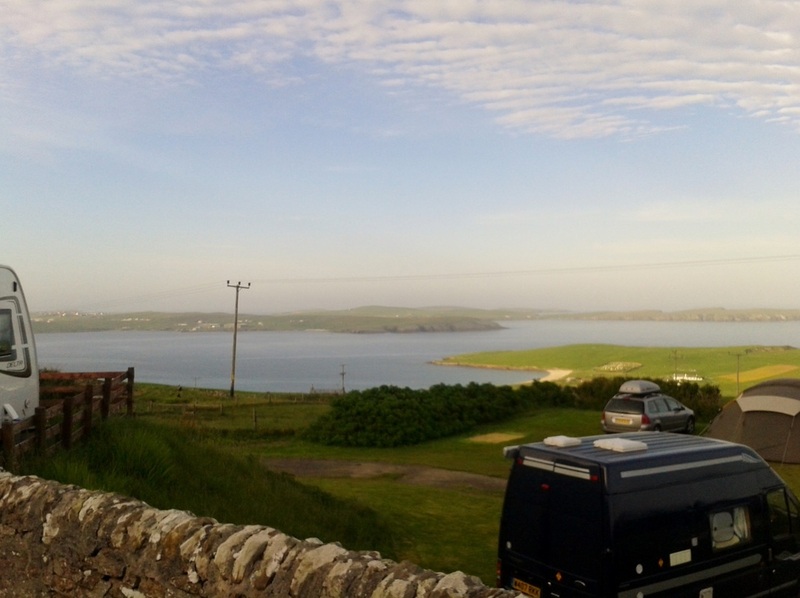 Its close proximity to the southern lochs of Shetland make it an ideal base for my fishing expeditions, and to sit there during the evening and relax and enjoy the view after a good days fishing makes it a fisherman paradise. 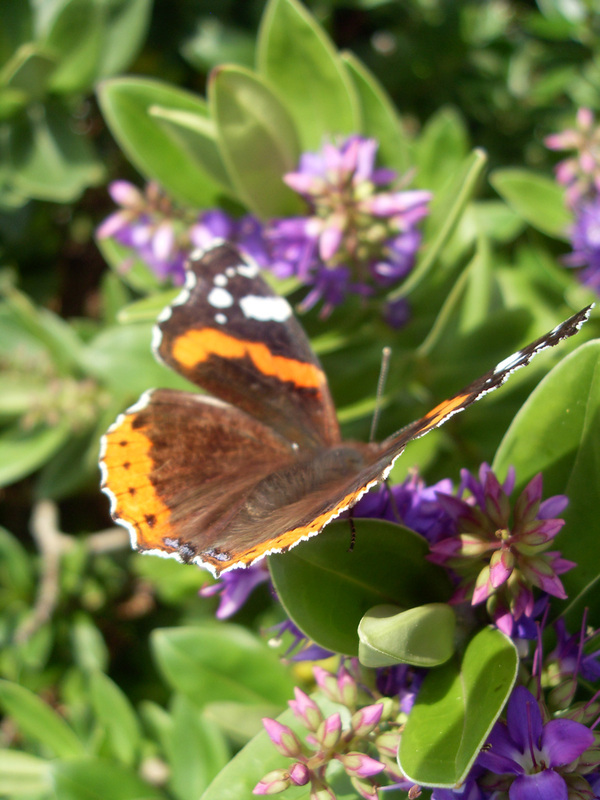 Good luck for the forthcoming season to everyone involved in the project." - M. Hemming, Mid Wales. "Great convenient site. Clean and well looked after. 5* location for exploring southern Shetland and all it has to offer. Recommend Sumburgh and Boddam Museum. St. Ninian's Isle a must! Too much to see on one visit so be back next year." - Cathy, Devon. 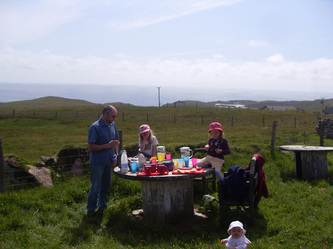 "Excellent, community-run site, ideally located for exploring the south of the Mainland. 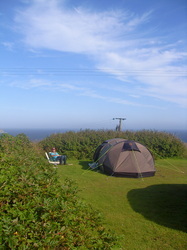 We stayed in early June 2012 with our three-man tent. 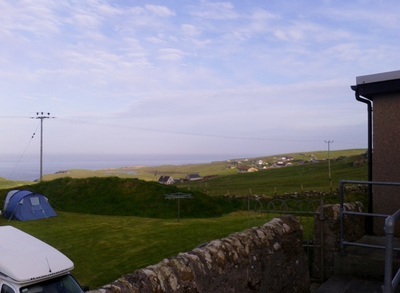 Site can be a bit exposed - we had strong northerly winds - but has excellent views. Two showers, one taking 50p coins and one taking 20p coins. Showers and toilets very clean. I only used the older, 50p shower, but it gives at least 10 minutes for the 50p, and it's nice and hot (although electric, so not very powerful). New-ish (5 years old) indoor kitchen area with sink, microwave, kettle, washing machine and drier, and access to the second shower. Three tables in this room, perfect for campers to use - especially as the room is warm and with excellent views! 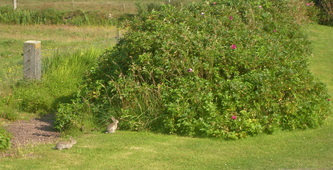 Site also has a small garden area which we used to BBQ. Very friendly and knowledgeable warden. 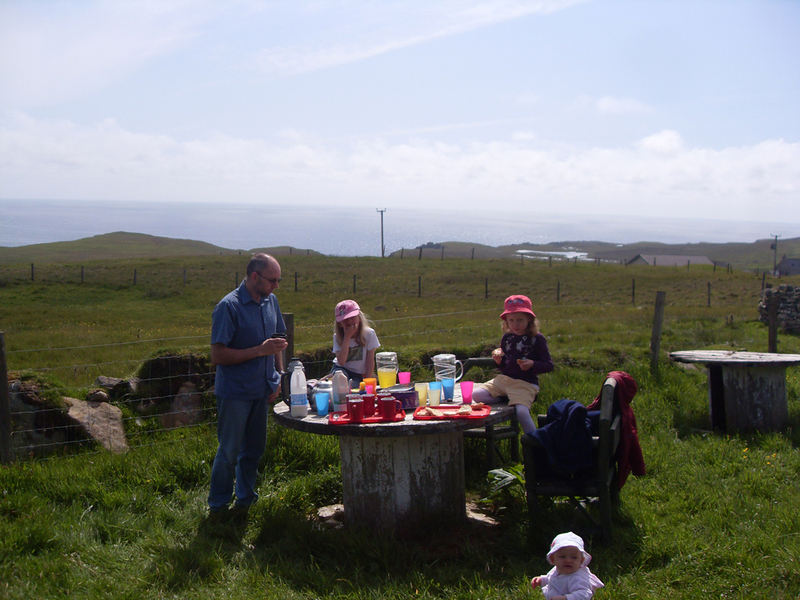 No recycling facilities, but these can be found just a few miles down the road towards Sumburgh. All proceeds from the site go towards funds for the community hall - they were installing insulation for the first time ever when we visited, paid for over the years by site fees. June is quiet for them - just three other tents and two campers during our stay. This site is well recommended. "A small community run site, with good basic facilities including a large lounge area which would be very useful for tenters in bad weather. Wonderful sea views, and we were told that Orcas have been seen from the site. The turn in off the main road is a bit tight, I found it somewhat awkward in a 5. 5m vehicle. Luckily, being Shetland, the main road is busy if there are two cars in a minute!